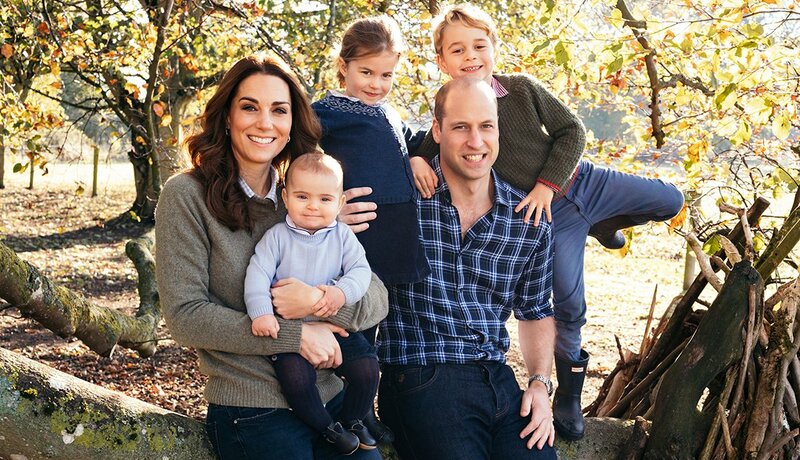 Prince William, Duke of Cambridge, and Catherine, Duchess of Cambridge, with their three children, (from left) Prince Louis, Princess Charlotte and Prince George at Anmer Hall in Norfolk. This photograph was on their Royal Highnesses' 2018 Christmas card. 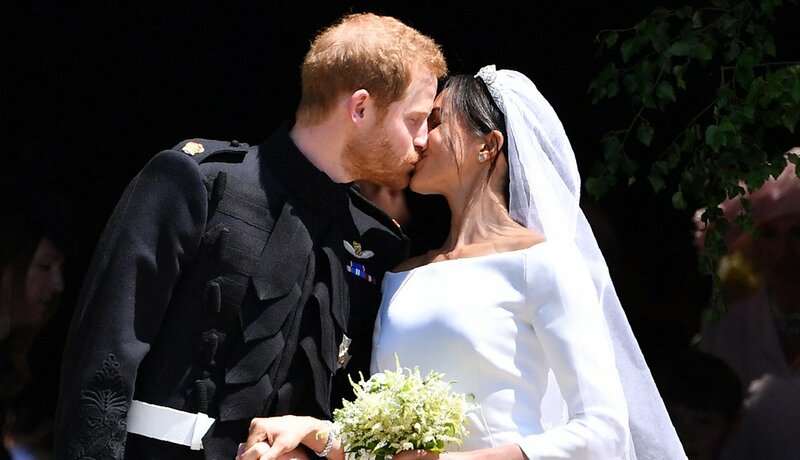 Prince Harry, Duke of Sussex and Meghan, Duchess of Sussex married inside St. Georges Chapel at Windsor Castle on May 19, 2018. Prince William, Duke of Cambridge, and Catherine, Duchess of Cambridge, welcomed a third child into their family April 23, 2018. 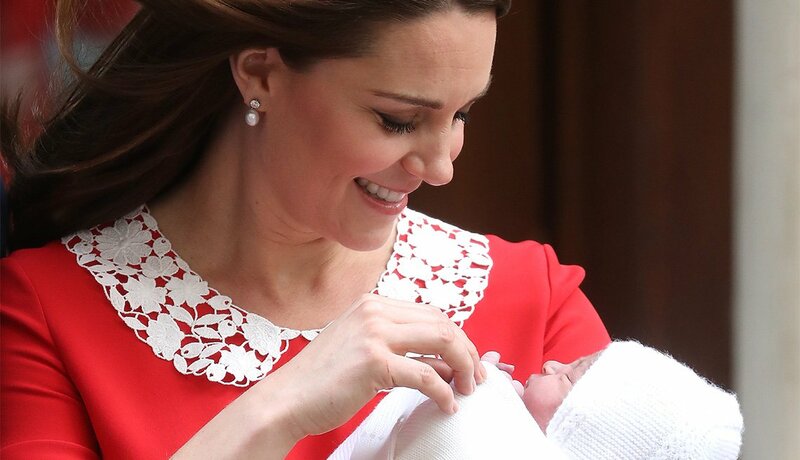 His Royal Highness Prince Louis of Cambridge weighed 8 pounds, 7 ounces. The baby boy is fifth in line to the British throne; first in line is his grandfather Prince Charles, followed by his father and siblings — Prince George and Princess Charlotte. 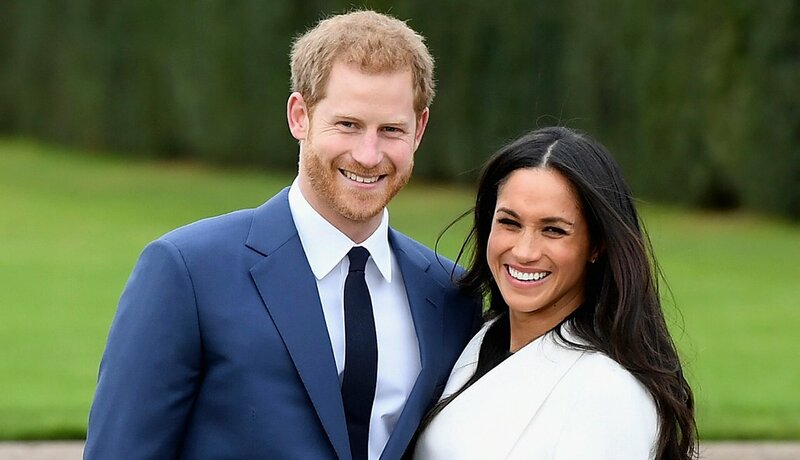 Prince Harry of Wales, 33, and Meghan Markle, 36, got engaged in November 2017. The two met through friends in July 2016, but kept their relationship private for months. In an interview with Vanity Fair in September 2017, Markle, an American actress, said, “We’re in love.” According to Kensington Palace, Prince Harry discussed the engagement with Queen Elizabeth II and got the blessing of Markle’s parents. 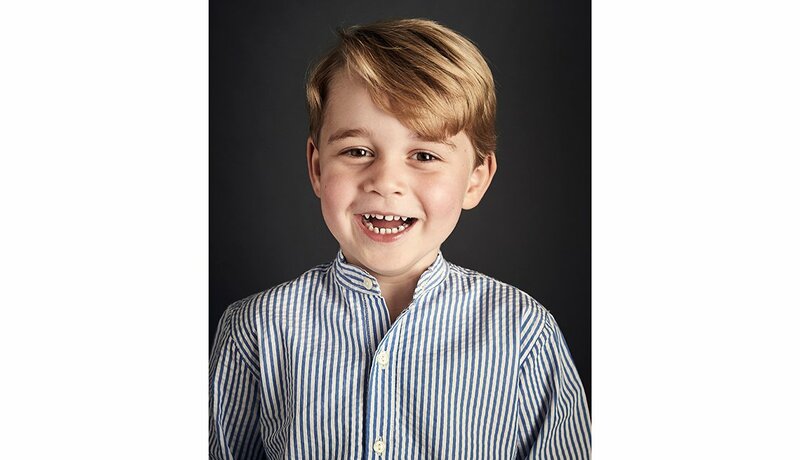 Prince George has turned 4! The Duke and Duchess of Cambridge released this photograph of their smiling young son taken ahead of his birthday on July 22, 2017. 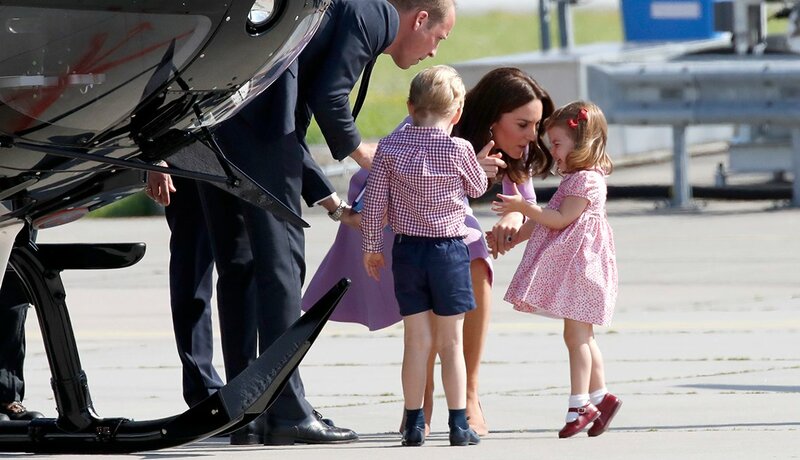 Prince William, Duke of Cambridge, Prince George, Princess Charlotte and Catherine, Duchess of Cambridge view a helicopter before departing from Hamburg airport on July 21, 2017, the last day of their official visit to Poland and Germany. 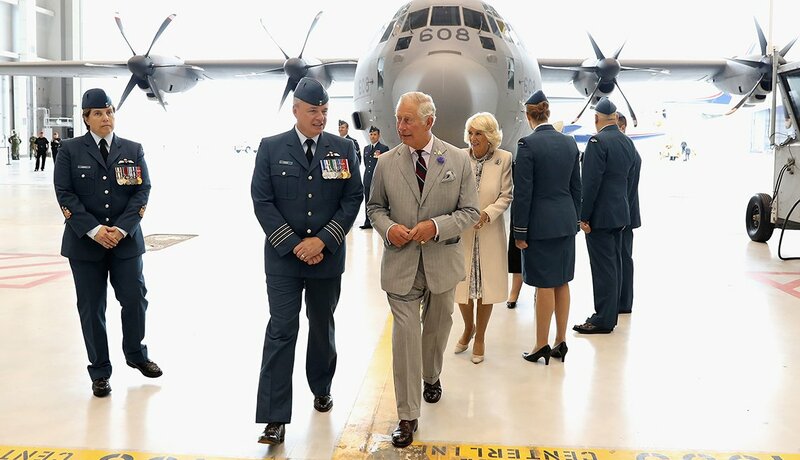 Prince Charles, Prince of Wales, and Camilla, Duchess of Cornwall, visit the Trenton armed forces base in Ontario during a three-day visit to Canada on June 30, 2017. 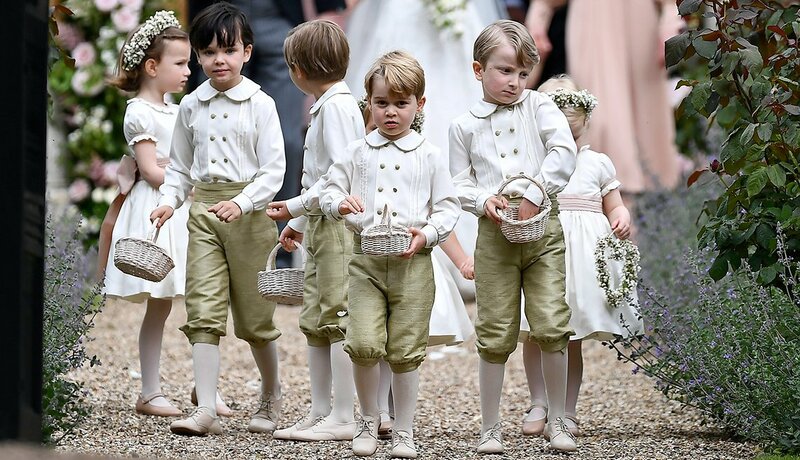 Prince George, foreground center, at the wedding of his aunt, Pippa Middleton, on May 20, 2017. Middleton, the sister of Kate, Duchess of Cambridge, married hedge fund manager James Matthews in a ceremony at St. Mark's Church in Englefield, England. 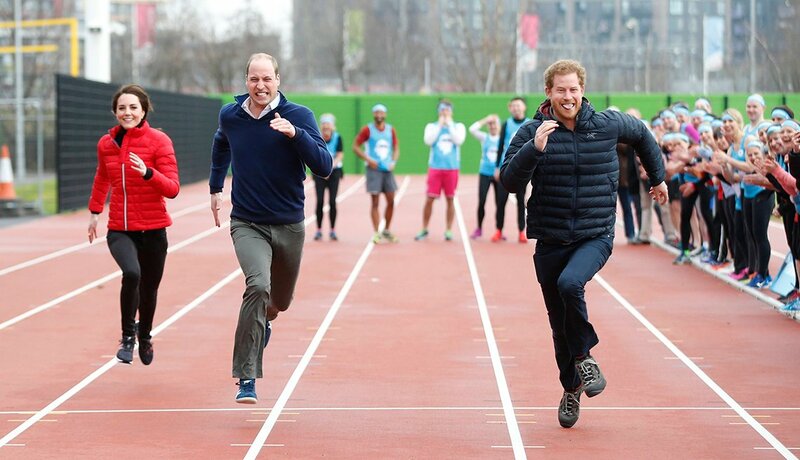 Catherine, the Duchess of Cambridge, Prince William and Prince Harry take part in a relay race, during a training event to promote the charity Heads Together, at the Queen Elizabeth II Olympic Park in London on Feb. 5, 2017. 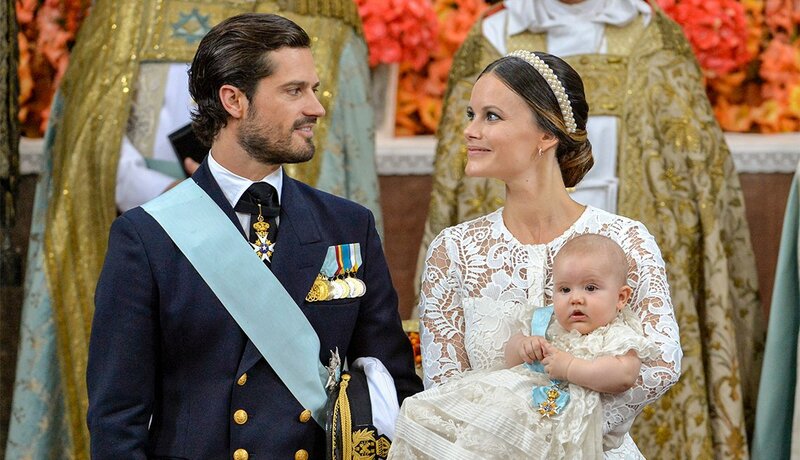 Prince Carl Philip, Duke of Värmland, and Princess Sofia attend the christening of their 5-month-old son, Prince Alexander, at Sweden’s Drottningholm Palace chapel in Stockholm on Sept. 9, 2016. 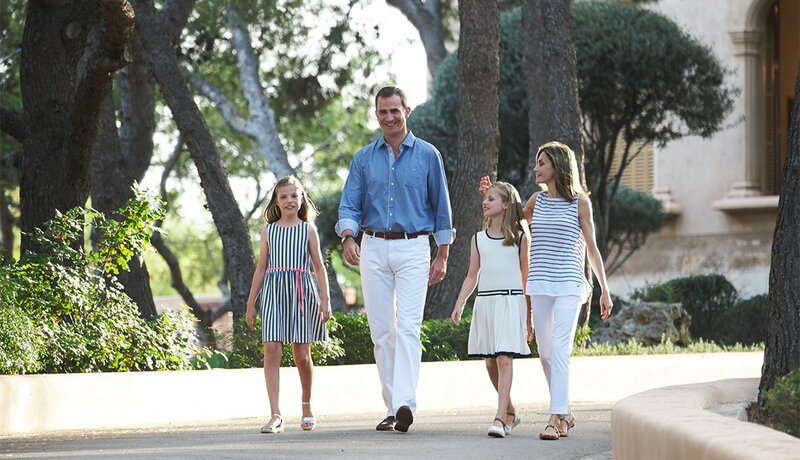 King Felipe VI of Spain; his wife, Queen Letizia; Princess Sofia (left); and Princess Leonor go for a stroll in August 2016 at Marivent Palace, their summer residence in Palma de Mallorca. 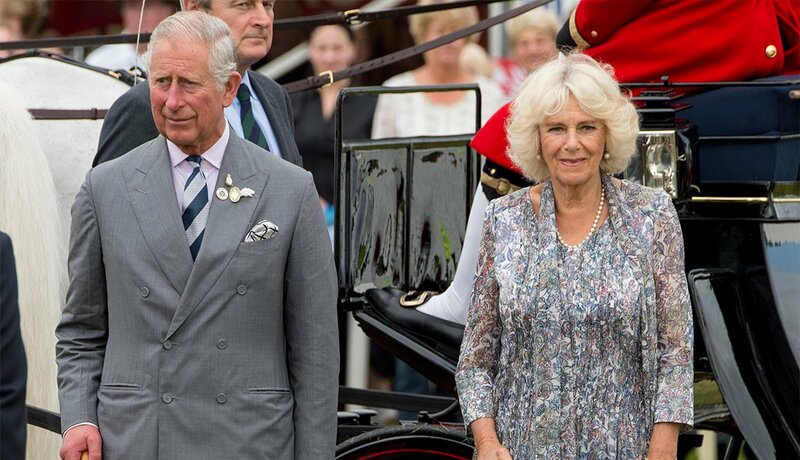 Charles, Prince of Wales, and Camilla, Duchess of Cornwall, arrive at the Sandringham Flower Show at Sandringham House in the English town of King’s Lynn on July 27, 2016. 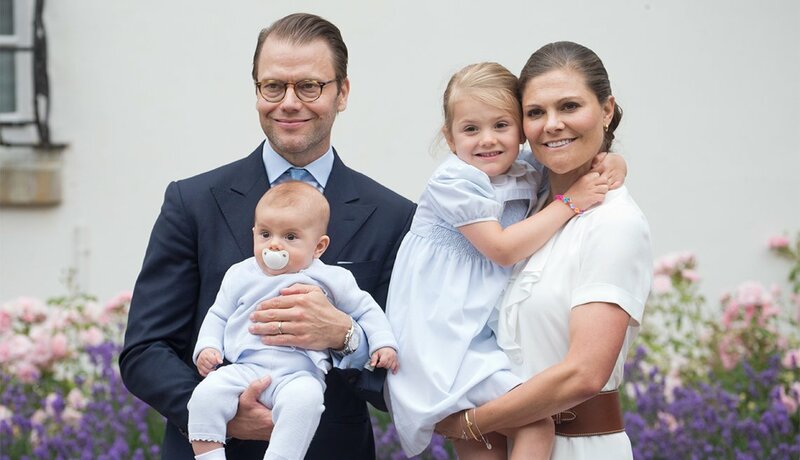 Victoria, Crown Princess of Sweden; Prince Daniel, Duke of Västergötland; Prince Oscar; and Princess Estelle pose for a family photo during Victoria’s 39th birthday celebration in 2016 at Solliden Palace, their summer residence on the island of Öland. 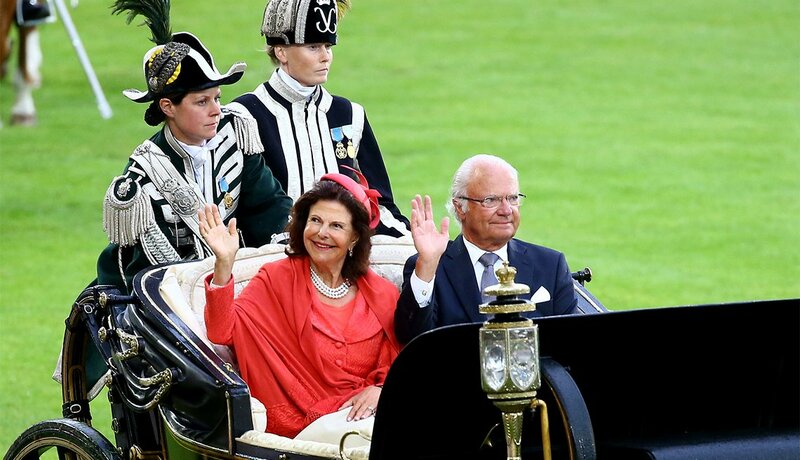 Queen Silvia and King Carl XVI Gustaf of Sweden wave to spectators during the opening ceremony of the CHIO Aichen equestrian festival in Germany on July 12, 2016. 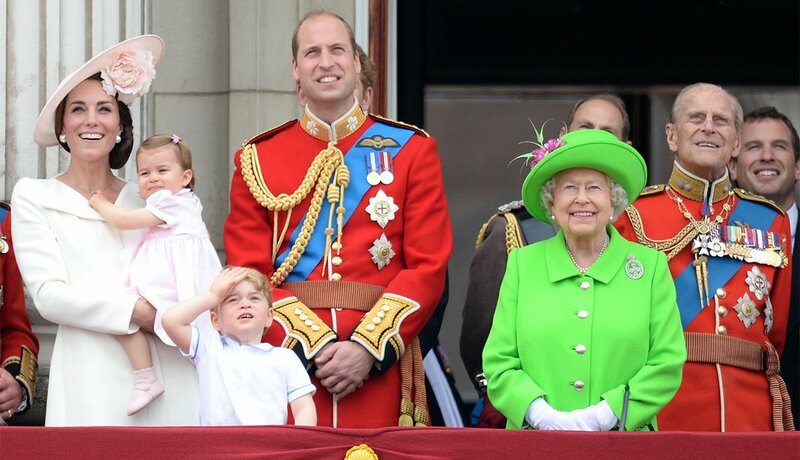 Catherine, Duchess of Cambridge; Princess Charlotte of Cambridge; Prince George of Cambridge; Prince William, Duke of Cambridge; Queen Elizabeth II; and Prince Philip, Duke of Edinburgh, enjoy the Trooping the Colour celebrations on the queen’s official 90th birthday June 11, 2016. 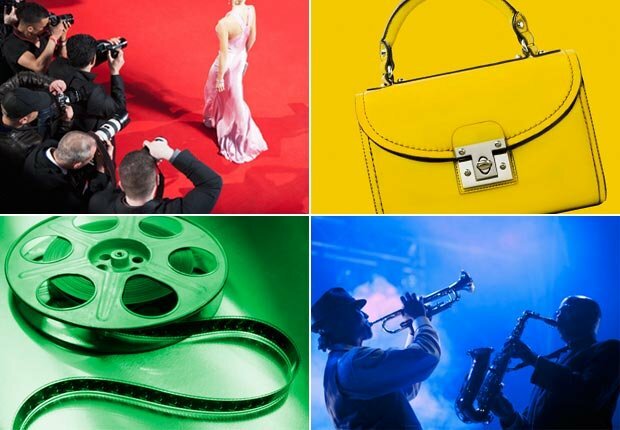 The ceremony marks the British sovereign’s annual birthday parade along the Mall in London and dates back to the time of Charles II in the 17th century, when the colours (flags) of a regiment were used as a rallying point in battle. 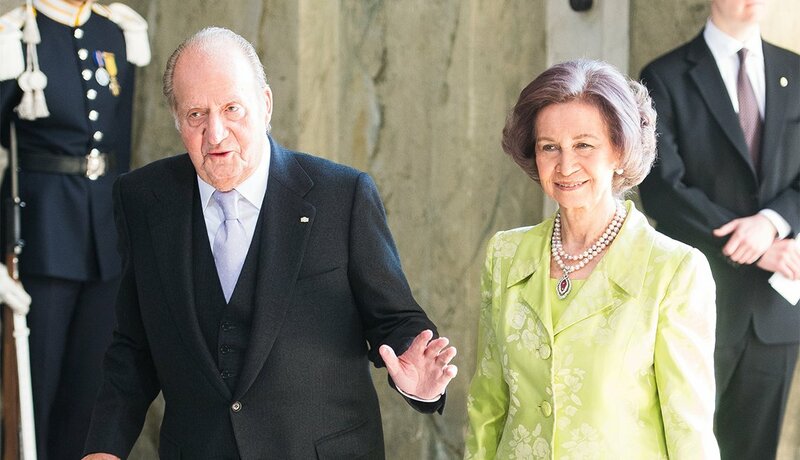 King Juan Carlos of Spain and his wife, Queen Sofia, arrive at the Royal Palace of Sweden in Stockholm to attend the Te Deum thanksgiving service and celebrate the 70th birthday of King Carl Gustaf XVI of Sweden on April 30, 2016. 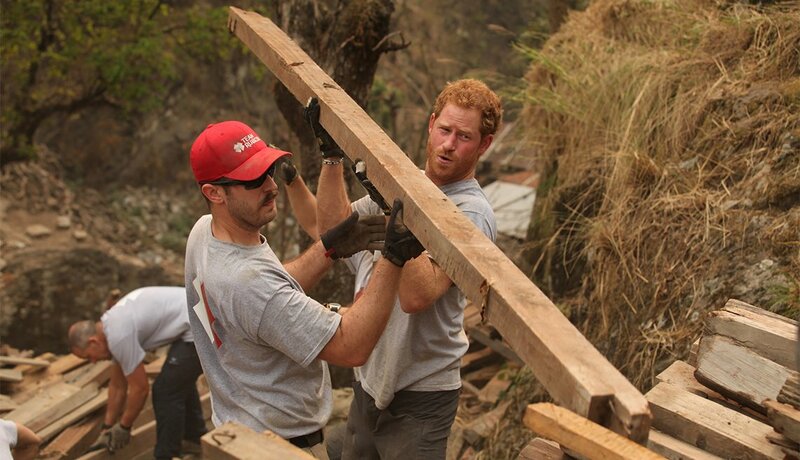 In March 2016, Prince Harry of Wales and Team Rubicon U.K. volunteers help to clear a site for a solar farm and rebuild a school in the village of Lapubesi in Nepal, which was devastated by an earthquake the year before. 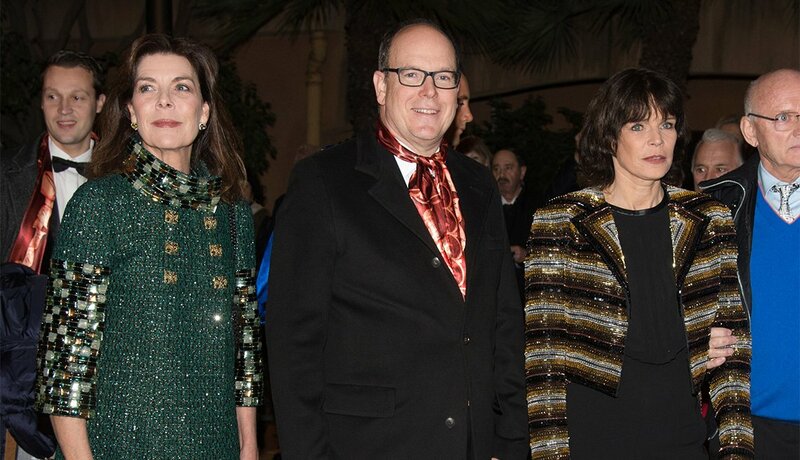 Caroline, Princess of Hanover; Prince Albert II of Monaco; and Princess Stephanie attend the Golden Gala show during the 40th anniversary of the Monte Carlo International Circus Festival on Jan. 19, 2016. Prince Albert II of Monaco and his wife, Princess Charlene, arrive with their twins, Prince Jacques and Princess Gabriella, to take part in the traditional Pique Nique Monegasque (Monaco’s picnic) on Aug. 28, 2015.